The legislation of the Companies Act 2016 (CA 2016), which came into effect on 31.1.2017, has made it possible for the setting up of a Single Person Company (SPC) which brings with it advantages not enjoyed by a sole proprietorship. Besides being more tax efficient, the SPC model works on a separate legal entity concept which gives wider protection from commercial liability in comparison with a sole proprietor entity. This book completely unlock the concept and methodology of the SPC, how it can be incorporated with a single director, its mode of carrying on various businesses, the responsibilities and requirements of the single director under the CA 2016, and the payment of remuneration to the director as well as profit appropriation via dividends to the shareholder. A total of 20 chapters incorporating 12 examples with practical illustrations on the applications of the CA 2016 are provided. This is a practical guide and must-have reference for business entrepreneurs, accountants, consultants, auditors, tax agents, legal counsels and students taking up business courses and professional studies. The law is stated as at 1 May 2018. A Single Person Company (SPC) is a unique feature that is provided for by the Companies Act 2016 (CA 2016) which took effect from 31.1.2017. The Act allows for an individual to incorporate a Sdn Bhd with himself being at the same time the director. The minimum age of a director is now relaxed to 18 years old while there is no compulsory age when it comes to retirement. This enables and encourages both a young person or an elderly retiree to embark on business through the setting up of an SPC which also enjoys the advantage of the separate legal entity concept. This, in turn, will catalyse the growth of SPC companies which will further contribute to the economic development of the country. 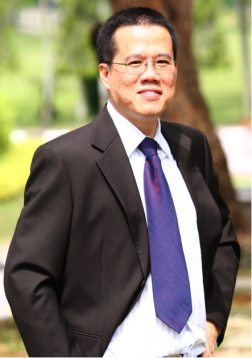 The Income Tax Act 1967 provides preferential tax treatment to a Sdn Bhd, which includes an SPC. The payment of salary, EPF and director’s fee are allowable deductible expenses to the Sdn Bhd while the director would be taxed on his remuneration based on the applicable scaled tax rate. It would furthermore be more advantageous to carry on business using the separate legal entity concept of an SPC which provides for limited liability than conducting the same nature of business using the sole proprietor vehicle which has no such liability protection. With the legislation of CA 2016, sole proprietors should seriously consider converting to an SPC model in order to enjoy tax efficiency while at the same time mitigating business risk by relying on the separate legal entity concept. 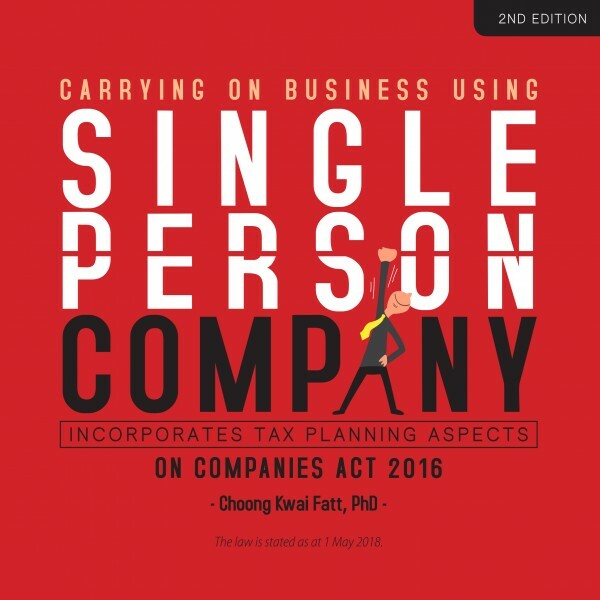 A first of its kind reference book, Single Person Company is a practical work, clarifying and explaining the concept and methodology of an SPC incorporated under the CA 2016. Useful tax planning ideas and implications are discussed while practical examples are given to make clear the legal framework with essential notes provided to help readers grasp the entire SPC concept. The rights and responsibilities of a director and penalties on non-compliance with requirements of the CA 2016 are explained and analysed. The appointment and removal of an auditor and company secretary, the essential administrative responsibility in dealing with the SSM, the manner of keeping records, the time frame in passing resolutions and the circulation of both written resolutions and director’s resolutions have all been included for completeness. The strong support of the business community to acquire an original copy of this book is essential to ensure that professional books continued to be written and published. The publishing industry and the livelihood of Malaysian authors have been severely affected by the infringement of copyright through the rampant sharing of their books through smartphone applications. The knowledge, skills and experience of a specialist can only be conveyed through books and the wisdom therein would enrich the readers.